Made with all U.S.-grown organic ingredients. Better quality control. Uses a new pulverization process producing a finer powder for better absorption and smoother texture. Contains a simpler formula for sensitive bodies (and pets). Contains more powder. The original bottles contained 30-3/4 scoops, while the new bottles contain 30-full scoops for 26% more product. Increased muscle strength and functionality. Decreased Auto-immune and allergic activity — indicating improved digestion, decreased inflammation and decreased reactivity. Better body utilization/absorption of food nutrients and supplements. 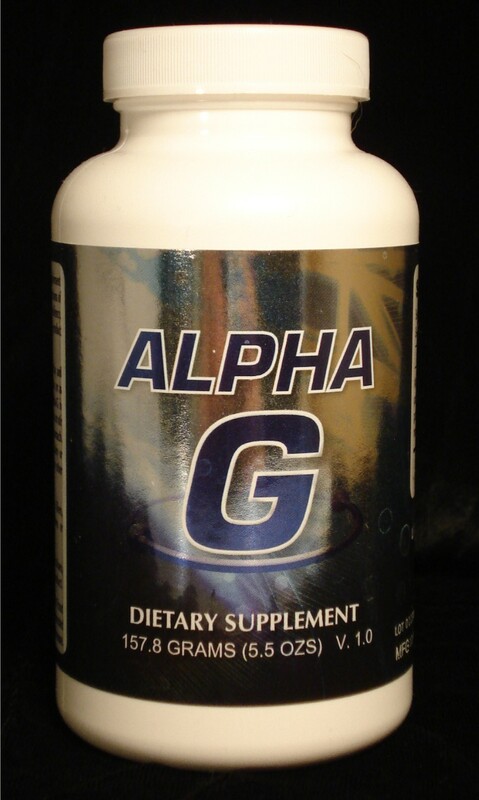 Taking more Alpha G seems to decrease the need for extra doses of other food supplements. Samples are testing 10 times better (more potent) than the original formula. One will be able to use less of the new formula ALPHA-G and get better results! Powder with scoop for easy daily measuring. One month supply. For people and pets. We cannot ship ALPHA-G using Canada Post. Please select our special "Canada: ALPHA-G & Seacure" shipping zone when buying ALPHA-G to be shipped to Canada using a cheaper international rate. Powder with scoop for easy daily measuring. 90-day supply. For people and pets. All orders are shipped by U.S.P.S. Priority Mail in the United States. For international orders, we ship either Priority Mail or Global Express Mail through your local Postal Service. We cannot ship ALPHA-G using Canada Post. Please select our special "Canada: ALPHA-G & Seacure" shipping zone when buying ALPHA-G to be shipped to Canada using a cheaper international rate. Our goal at Optimum Choices is superior customer service that cannot be matched. We always put your family's holistic needs first. As the world's largest e-tailer and reseller of the revolutionary holistic, BioPreparation, our expertise and products are very much in demand. Some days, we literally only ship emergency overnight orders. Unfortunately, this extends the processing time of our regularly scheduled orders, so we apologize in advance. We know you would want this extra special attention if it were your family member's life. Internet-placed orders are processed first. Because of the high demand, manually placed telephone orders could take up to 7 business days to process. Average time to process Internet orders is: 5 days business days + 2-3 days for Priority Mail shipping = 7 total business days to receive your order. Mix suggested amount of ALPHA-G in 6-8 ounces of room temperature or lukewarm water/broth (make sure that there are no added sweeteners in the broth). DO NOT use fruit juice. The more diluted you make the ALPHA-G , the better your body will absorb it. If you have any concerns, stop taking ALPHA-G and contact us. For more detailed directions on how to use ALPHA-G with both people and pets, please contact us at info@OptimumChoices.com.